Krishna's rise to the Senate was not an easy one. Born in 1979, Krishna hails from Nagarparkar, a village in Tharparkar where women are to date deprived of basic facilities. She battled hunger and poverty early in her life, and was also a victim of bonded labour. Her family was tied to bonded labour and she had work on the lands of village landlords. Despite her hardships, driven by her passion for knowledge, Krishna continued her education at a 'run-down' school in her neighbourhood. “We didn’t have electricity so I used to study under the light of an oil lantern,” she told Geo News. In what may have been a hindrance to her education, Krishna was married when she was in ninth grade. “Fortunately my husband and in-laws were extremely supportive and encouraged me to continue my education,” she said. 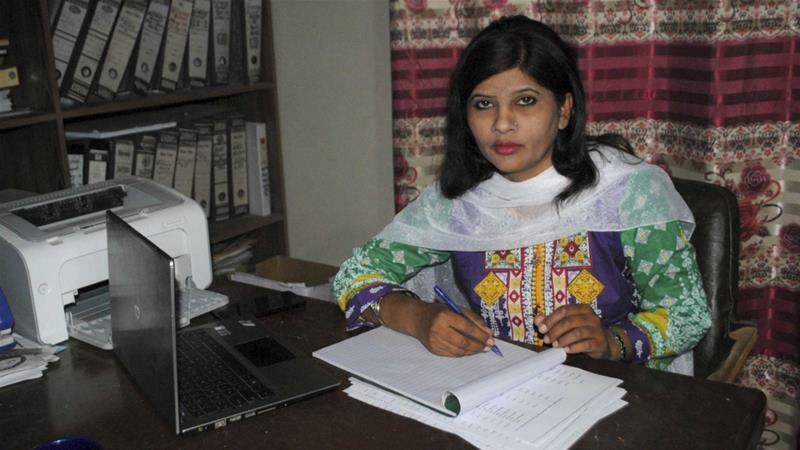 In 2013, Krishna received her master’s degree in sociology from University of Sindh. All the while, she actively worked against bonded labour, sexual harassment at workplaces, and for the rights of women and the people of her village.